With the product bundle, Act-On customers will be able to run different types of marketing programs, such as inbound, outbound, account-based and social, the company said. When the software is integrated with Dynamics CRM, users can report on funnel velocity and revenue attribution, enabling them to analyze campaign performance. Both Act-On and Dynamics CRM have 500 joint customers, according to a release. Act-On Anywhere, which integrates with Microsoft Outlook to help sales and support optimize interactions with customers. 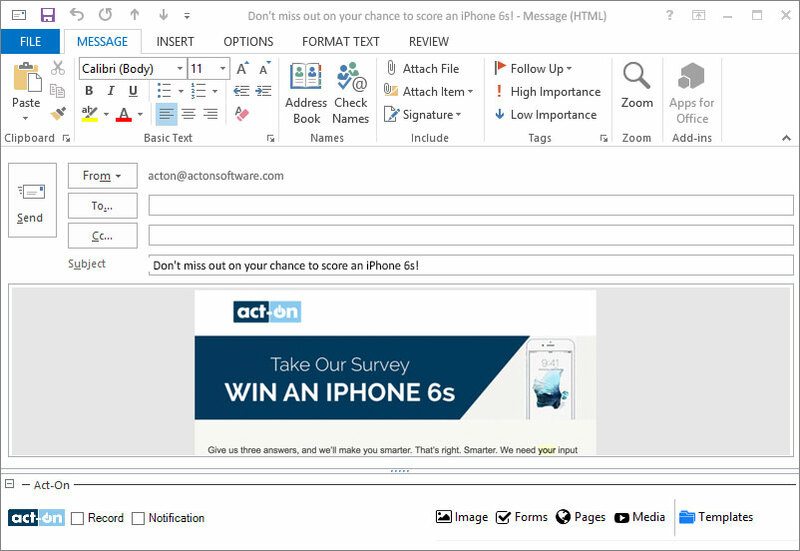 Users are able to access Act-On email templates within the mail app, add opt-in communications for behavioral tracking and receive alerts when prospects interact with emails.